There is clear evidence of the link between education and financial literacy, environmental literacy, health as well as engagement in civil society and democracy. Education contributes to social outcomes as well as developing cognitive, social and emotional skills, and plays a role in reducing socio-economic inequalities. The act of learning is not divorced from place. The idea that the environment is the third teacher situates learning and recognises that we do not learn by memorising facts, we learn by interacting with others and with the environment around us. It is not sufficient any more to think of learning as only being done at school, the context in which we learn is complex and multi-dimensional. Learning takes place in a variety of settings from family, community, workplace and of course school. Equally it is not sufficient to conceive of a school building, or school environment if you prefer, as being a one-size-fits-all model of classrooms lined up either side of a corridor. While the concept of a ‘learning landscape’ is often used to describe the physical learning environment it goes deeper than the just articulating the arrangement of spaces. 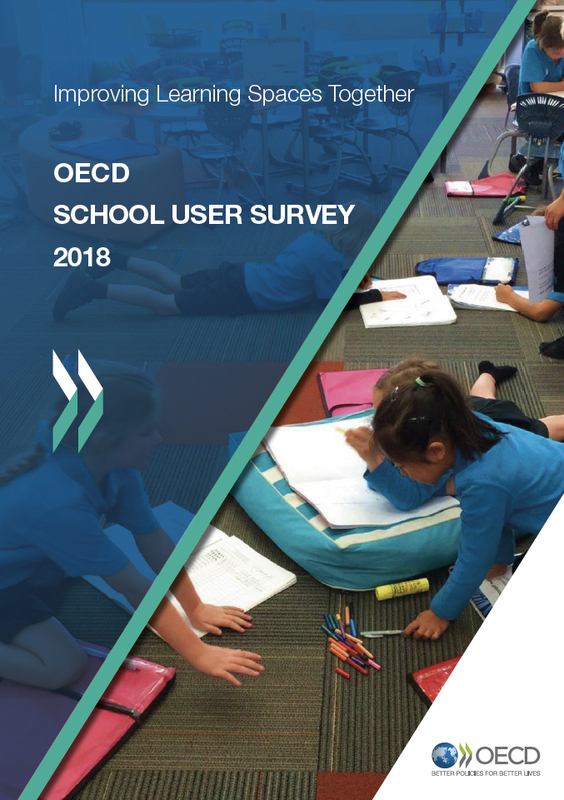 It must take account of how space is used through time and recognise the interactions between teaching, organisation of learning, content, leadership and the context of government education policy. 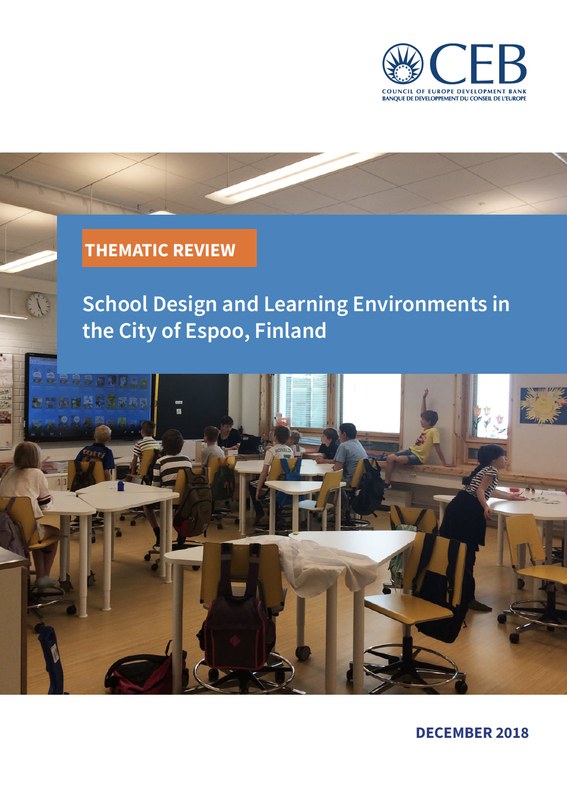 A central issue in the design of learning landscapes is the extent to which the voices of the students and teachers are engaged in the design of progressive teaching and learning spaces. This includes the way that they are involved in the design decisions, the degree to which the principles of learning are captured in the design of the spaces, and the role of innovation. 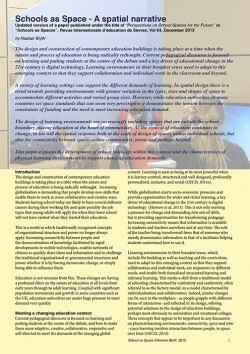 There is growing interest on the role of participatory design in creating learning environments. The engagement of “users” (including teachers and students) in planning learning spaces imparts ownership so they identify strongly with their newly built environment. However, rarely do the actual users get the opportunity to take part in the design process of a whole new school building they will use and if they do, they may have left the school by the time the building is built. More often though, a new school is being built for a school community that will only exist in the future. 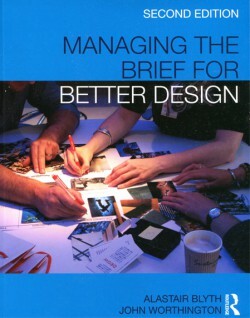 Perhaps participatory design is most relevant when redesigning the building in use. In a sense, the design of a building is never complete, it is constantly designed and redesigned through its use. A core facet of flexibility is to allow this to happen. The main structure remains permanent while the interior can be remodelled as the context and requirements change. 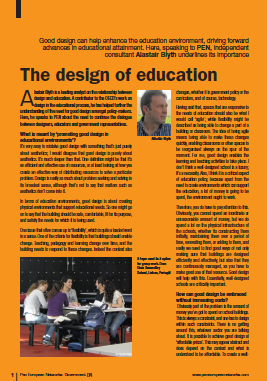 Engaging users in a discussion of the interrelationships between teaching practice and space is crucial. One place to start might be to ask teachers how they think that space influences their ability to create inspiring learning environments. ← Does Your School Work for You?